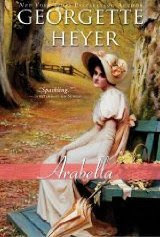 Here is your sneak peek into the Georgette Heyer novels that Sourcebooks will be re-publishing this Fall. No cover work yet (except for Arabella), but click on the links if you'd like to know more about them. Stay up-to-date in the Future Releases section for release dates!